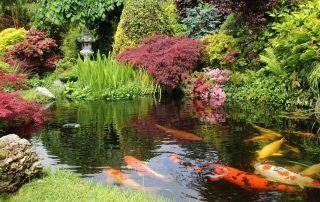 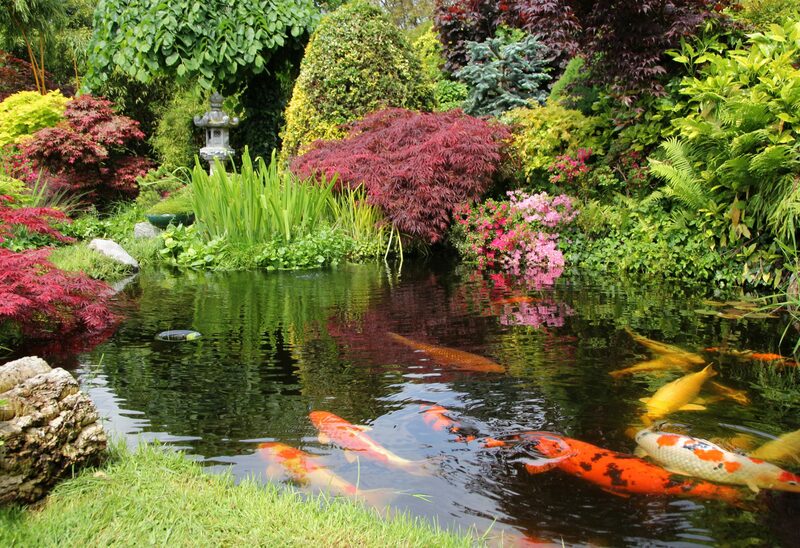 A water feature or swimming pool will create a focal point in a landscape design and add an ambiance of tranquility. 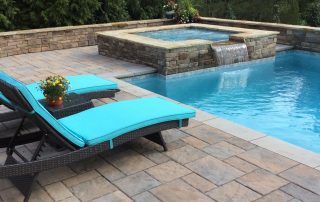 With a custom water feature added, a Raleigh outdoor living space is transformed into more than just a backyard pool — it becomes a luxurious, relaxing haven! 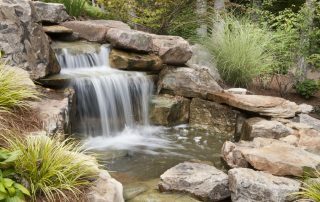 Brookscapes designs custom Raleigh water features, swimming pools and fountains that are seamlessly integrated into a home’s landscape and exterior design. 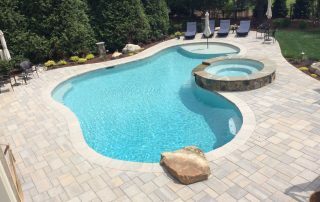 Brookscapes works hand in hand with the Raleigh regions top swimming pool and spa installation companies to craft a custom pool experience all your own. 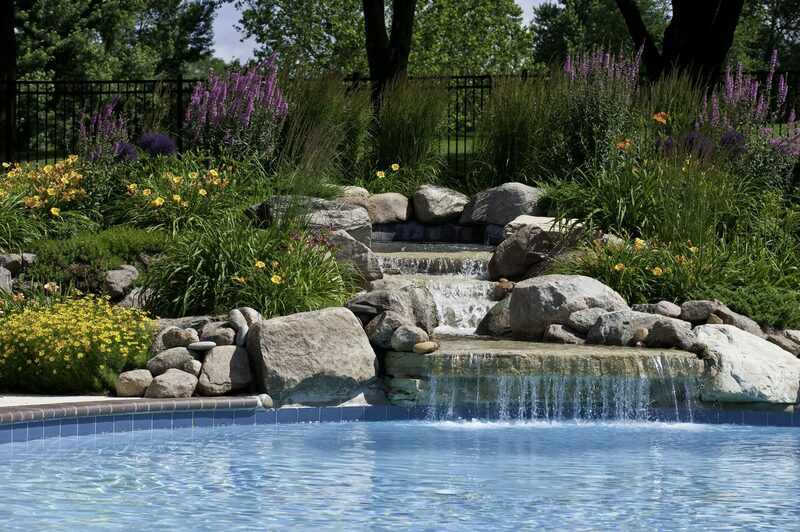 From the pool shape, depth, size, and original features, we will develop a unique layout that compliments your property and creates an unforgettable lifestyle. 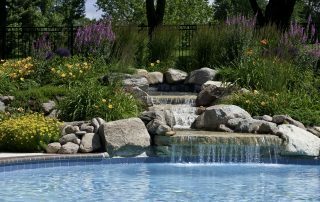 Brookscapes can incorporate custom spa, seat ledges, sunning platforms, deep water step outs, umbrella mounts, observation rocks, bubblers and a variety of water falls and features into your custom swimming pool. 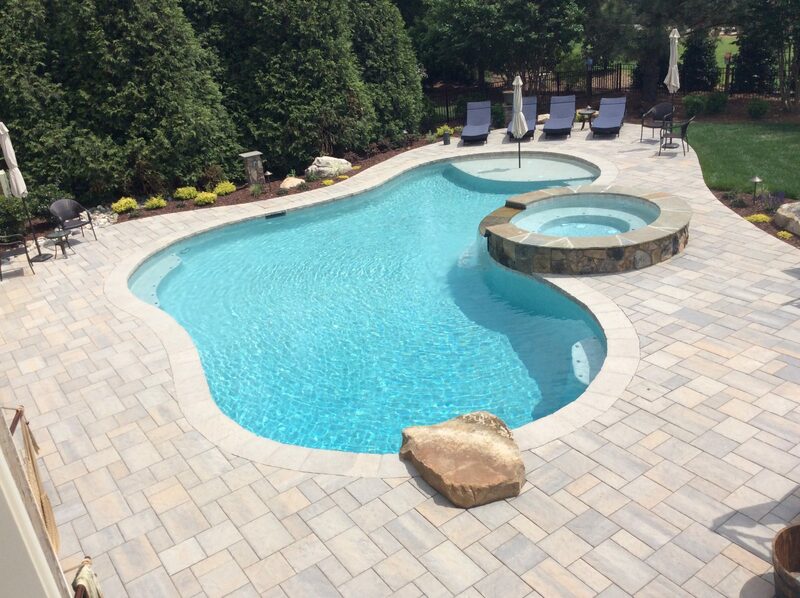 At the same time, we will help you plan and visualize all the elements around the pool to make it functional, safe, and deliver the “wow” factor. 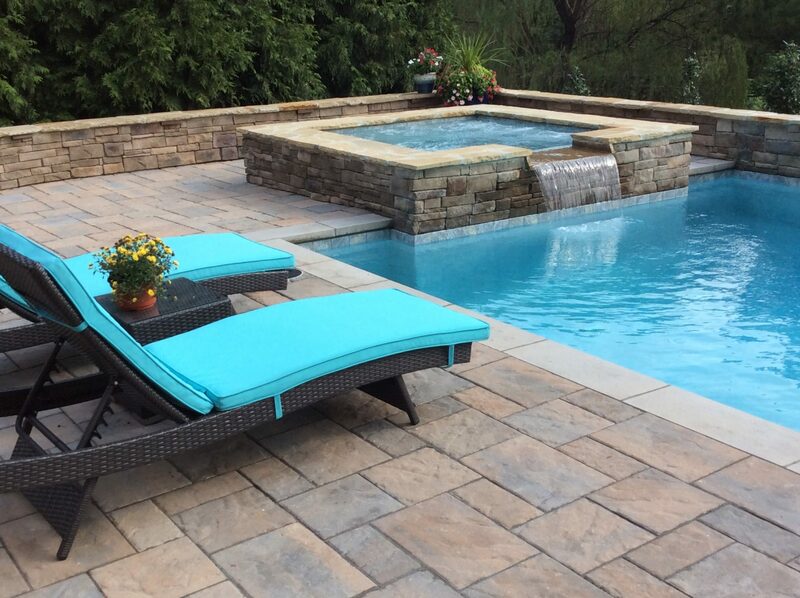 Everything from shady spaces, sunning areas, outdoor kitchens, and fire features–everything you need to entertain friends and family for years to come. 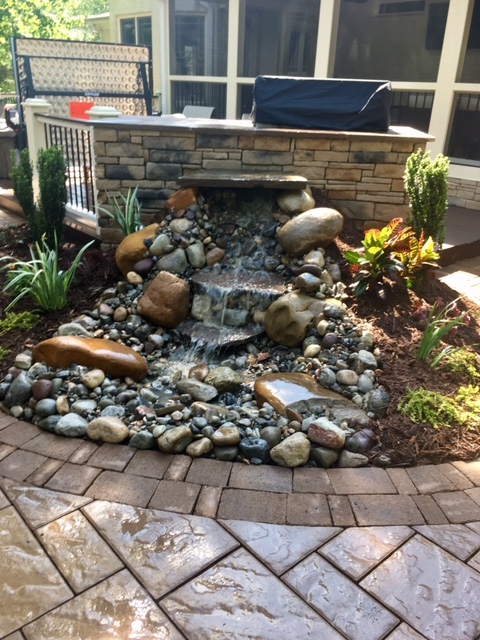 With our custom water features, as with all of our landscape design and installations, we consider both the big picture and the fine details. 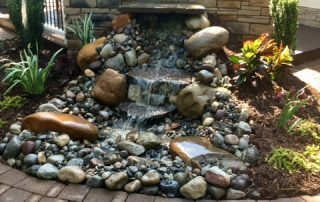 We build Raleigh water features to fit the client’s style and their home, using natural boulder, river rock, or whatever material will best create the client’s desired look. 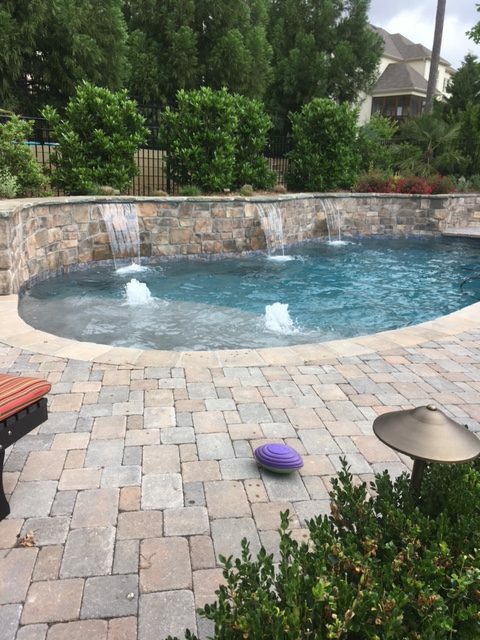 Call Brookscapes at (919) 872-5770 or complete a contact form to schedule your Raleigh water feature and swimming pool consultation. 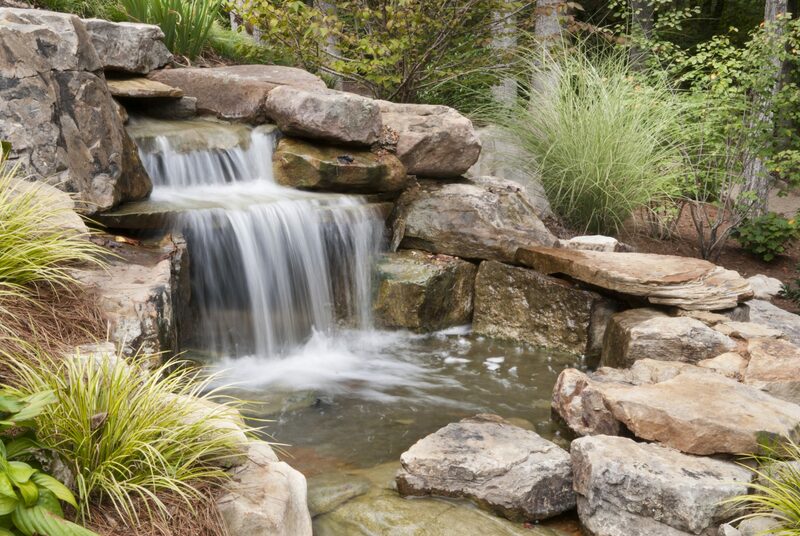 We are proud to serve clients throughout the Research Triangle, in Cary, Garner, Apex, Holly Springs, NC & beyond!